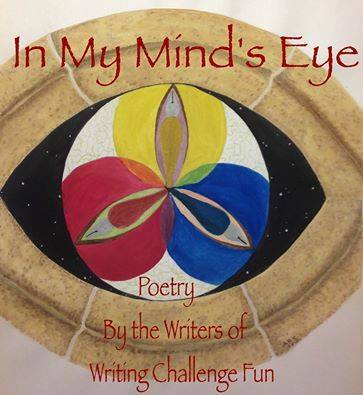 I encourage all of our fans to pick up a copy of In My Mind’s Eye, a collection of poems from StarkLight Press’ Writing Challenge Fun group. These poets from all over the world have come together to share some of the most insightful, thought-provoking and engaging freestyle poems in years. As an additional motivator, StarkLight Press is proud to donate the modest profits from both print and ebook versions of In My Mind’s Eye to Doctors Without Borders. Help us to give a big Holiday gift to those hard-working care-givers around the world- buy a copy of this beautiful anthology today! Here’s the fetching front cover to the first poetry anthology from StarkLight Press! Inside, you can find beautiful poetry by participants in the online 24 hr. Poetry Marathon and top-notch writers from around the world. Featuring the fruits of more than a year’s poetic efforts, this beautiful anthology will be available the end of October, 2015. Check back at starklightpress.com for pre-order links for ebook and print versions!